In about a weeks of time, bride-to-be Priyanka Chopra will soon be called as Priyanka Chopra Jonas. 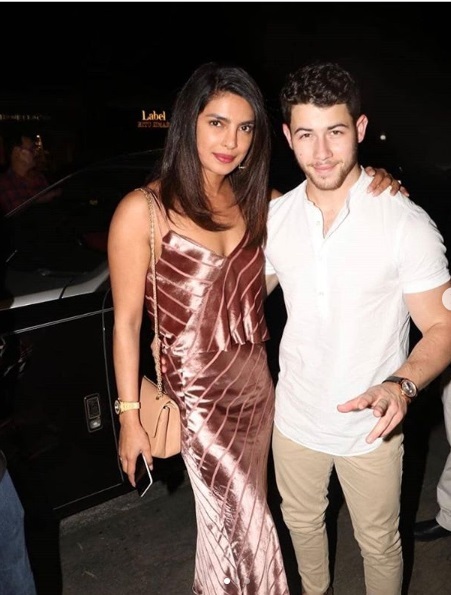 As Nick Jonas has already touched down India, Priyanka and Nick celebrated their first wedding festivities on the sets of Sky Is Pink in Delhi which was hosted by film’s director. After celebrating Thanksgiving day with a huge dinning table with an entire fam, Priyanka and Nick are in Mumbai now who will tie the knot at the Taj Umaid Bhawan Palace in Jodhpur on Dec 2. 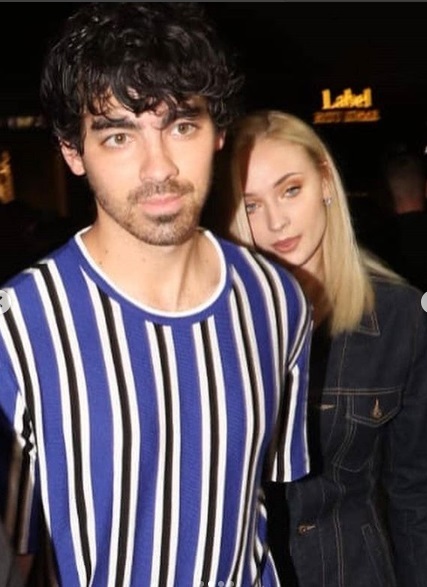 Nick’s brother Joe Jonas and his fiancée Sophie Turner too have arrived India to kick start the most grand wedding of the year. 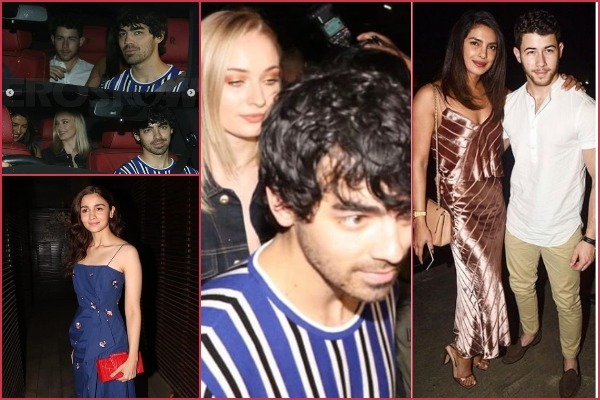 Ahead of their wedding, Priyanka and Nick hosted a pre-wedding dinner in Mumbai last night at Juhu’s Estella where Priyanka’s future brother-in-law Joe Jonas and future sister-in-law Sophie Turner joined them. Priyanka’s brother Siddharth Chopra, cousin Parineeti Chopra and Alia Bhatt too arrived for the dinner. 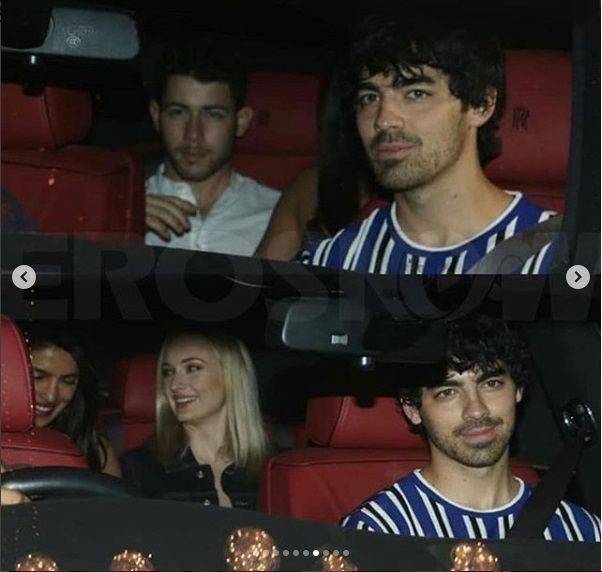 A large crowd of paparazzi were seen flashing camera lights when Priyanka, Nick, Joe and Sophie arrived together for the dinner. 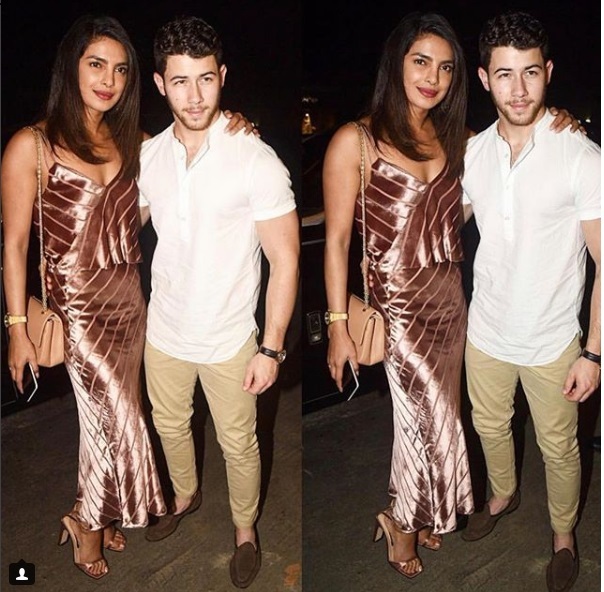 We are floored with Priyanka’s sexiest choice of outfit at the dinner while she arrived holding hand of Nick Jonas. She wore Michelle Mason’s fall collection glossy and velvet look low neck cami top and skirt with asymmetrical strips all over. 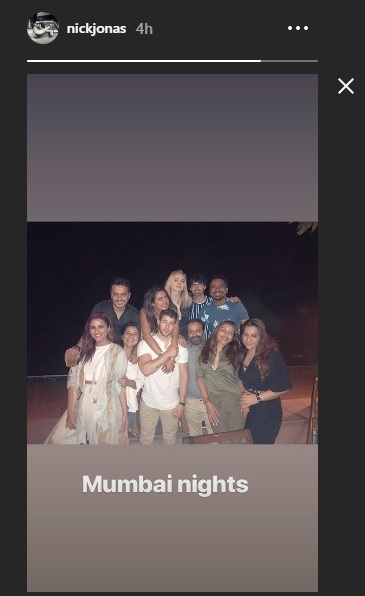 We are already wondering and excited to see Priyanka’s wedding outfits and Nick Jonas’ desi groom side. 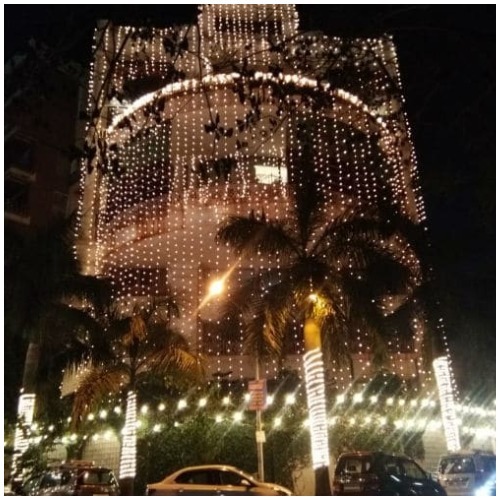 Priyanka Chopra’s Mumbai residence is all lit up and decorated ahead of her wedding with Nick Jonas. International celebrity couple Priyanka Chopra and Nick Jonas will have a Hindu wedding in Jodhpur’s Umaid Bhawan Palace on December 2. The couple are speculated to arrive in chopper at their wedding venue on their BIG Day. 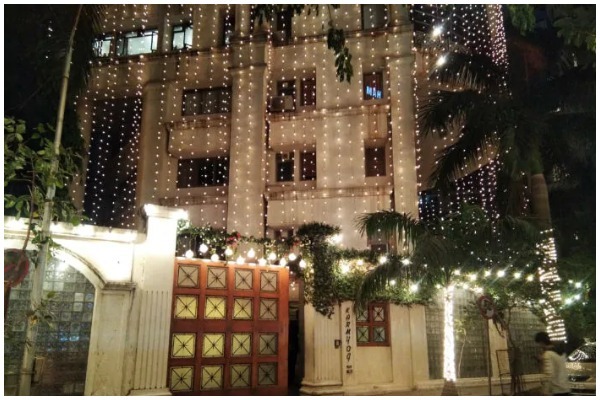 Priyanka And Nick’s pre-wedding festivities will begin with mehendi and sangeet ceremonies at the Mehrangarh Fort with a puja on November 28 to kickstart wedding festivities. The couple will also have a Christian wedding prior to Hindu wedding to honor videsi family’ tradition. Not sure if Joe Jonas and Sophie Turner must have panicked seeing this huge crowd with cameras around them. It looks so embarrassing to us.